The release of X-Wing™ Second Edition is rapidly approaching. 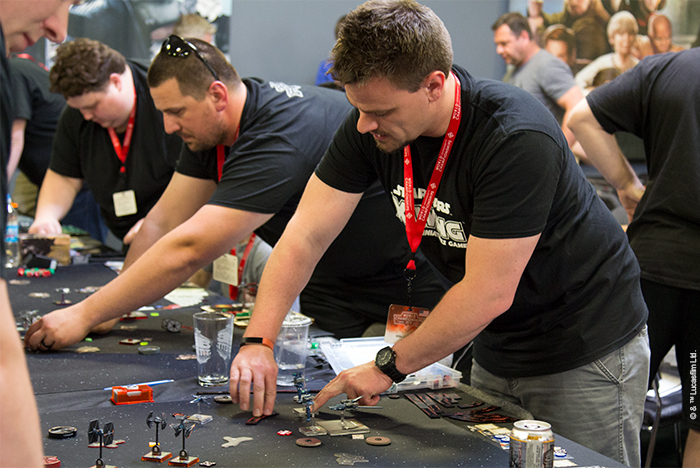 We're now just under a month from the game's September 13 release date, and we're racing toward its first major event at the 2018 Coruscant Invitational. The climactic conclusion to the 2018 System Open Series, the Coruscant Invitational will feature talented aces from across the globe. These players will have all earned their invitations thanks to their success with the game's first edition, and they will come ready to demonstrate their mastery of the game's second edition—including its renewed focus on skillful maneuvering, strategic use of actions, and clever squad building. In fact, this focus on clever squad building takes on a special role at the 2018 Coruscant Invitational. Participants will all face a unique squad building challenge—how best to incorporate one mandatory, faction-specific upgrade. Players will be able to draw upon all the second edition components in the Core Set, Conversion Kits, and Wave I expansions, and each list must include at least one copy of its "essential" upgrade. Over the past few weeks, we reviewed the different faction-specific upgrades included in the Conversion Kits for the Rebel Alliance, Galactic Empire, and Scum and Villainy. You cast your votes for each faction's essential upgrade—the upgrade that would appear at least once in each squadron for that faction—and now the stage is set. Notably, for the 2018 Coruscant Invitational, all copies of these upgrades will cost 0 squad points! Participants: We will be contacting you shortly with further instructions. 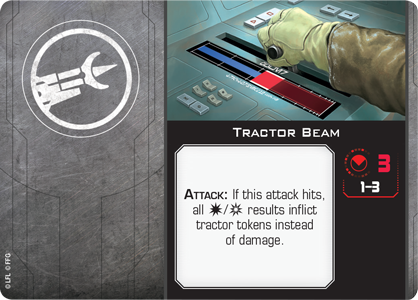 What does the selection of these upgrades mean for the action you're likely to see on our Twitch.tv livestream? We won't know for certain until the tournament starts, but we can hazard a few guesses. 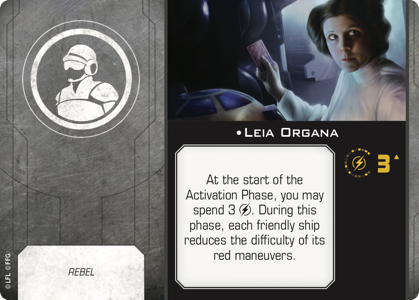 Leia Organa will find her way into every Rebel squadron at the 2018 Coruscant Invitational, having won the Rebel vote with a whopping 52% of the four-way vote. "At the start of the Activation Phase, you may spend 3 charges. During this phase, each friendly ship reduces the difficulty of its red maneuvers." While there's no shortage of Rebel ships that Leia could potentially crew, the challenge awaiting Rebel players will be to make the best use of her ability—an ability that applies to friendly ships anywhere on the table, has an impact multiplied by each ship it affects, and which can be used multiple times per game, provided Leia's ship survives and her ability can recharge. 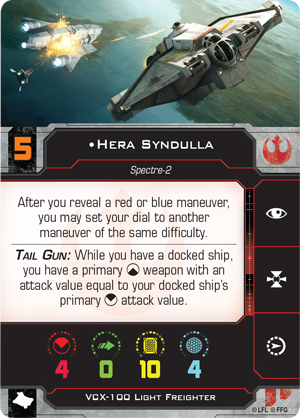 For these reasons, Leia's inclusion in the Coruscant Invitational is likely to encourage Rebels to fly squadrons of three or more ships, potentially crewing Leia aboard a HWK-290, Sheathipede-class Shuttle, or Attack Shuttle, in order to leave as many points as possible available for other ships. On the other hand, we might see Rebel players investing a bit more heavily in Leia's ship. The fact that Leia doesn't offer her ship the same offensive or defensive options as other crew means we might see Rebels flying her aboard an Auzituck Gunship or UT-60D U-wing. On these ships, Leia's crew mate can focus on immediate combat while Leia remains focused on coordinating the larger squadron. Leia's selection also offers some hints as to the ways we might see Rebels flying their squadrons. The fact that Leia can reduce the difficulty of her entire squadron's Koiogran turns or Tallon Rolls means that she's an excellent addition to any Rebel squadron that wants to fly straight at the enemy ships, hammer them with Proton Torpedoes or other ordnance, and then turn 180 degrees as they fly past the enemy. Executed perfectly, this approach could result in two subsequent barrages of missile or torpedo fire, and we may very well see one or more players placing Leia Organa in charge of a squadron full of Z-95-AF4 Headhunters, loaded with missiles. But while such a direct and confrontational strategy might appear to be the most efficient use of Leia's ability, it's also the most obvious. We're just as likely—if not more likely—to see Leia's ability put to use in the later stages of a battle. When every ship on the table has engaged in close-quarters fighting and the ability to surprise your foes might spell the difference between a perfect shot or no shot at all, Leia's presence can dramatically improve the options available to Rebel ships like the X-wing, B-wing, VCX-100 Light Freighter, and HWK-290. In fact, for this reason, we shouldn't be too surprised to find Leia aboard Hera Syndulla's Ghost, as the two Rebels synergize quite nicely, and the Ghost can carry another crew member dedicated toward the ship's immediate offense and defense. In the end, there are simply too many ways to make use of Leia Organa's inclusion to predict exactly which Rebel ships we'll see or how they'll be flown, but we're confident that the community's desire to see Leia in action will result in some highly creative, team-based Rebel squads and some carefully considered squad-based strategies for approach and engagement. 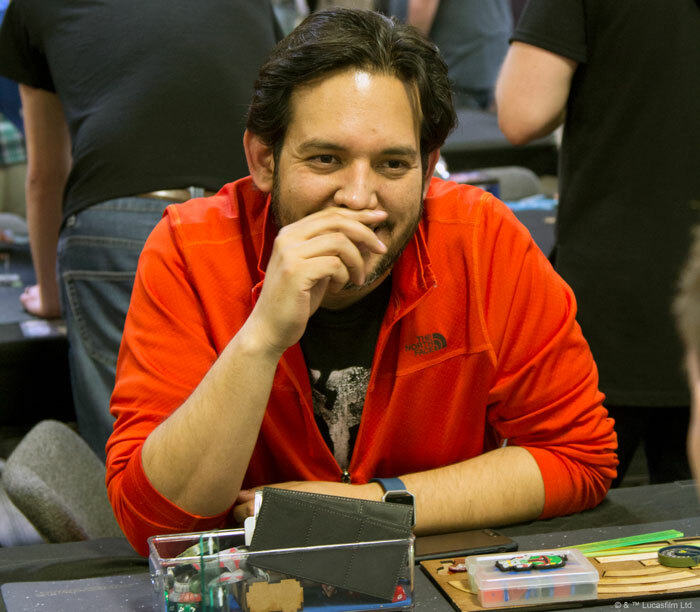 What can we expect of the Imperial players at the 2018 Coruscant Invitational? They'll all be a bit Ruthless. 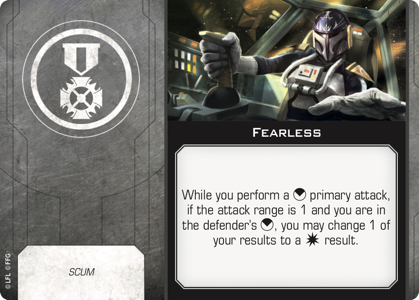 The vote for the essential Imperial upgrade was much tighter than the essential Rebel upgrade, and the talent Ruthless ended up overtaking early leader Admiral Sloane with 30% of the vote. 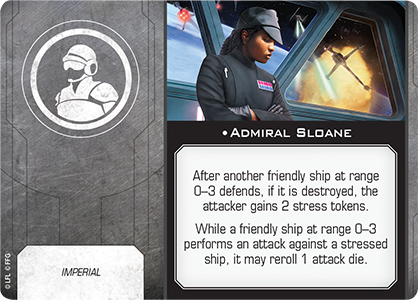 Admiral Sloane just missed the cut at 29% of the vote, and Emperor Palpatine finished a strong third at 27%. There are far fewer ways to modify your dice in X-Wing Second Edition than there were in the game's first edition. This is a good thing, as it reinforces the importance of your ships' actions, and places greater importance on each maneuver you assign. Nonetheless, you'll still find a number of action-free upgrades to modify your dice. Most require you to fulfill certain conditions before you gain their benefits, like Predator and Fire-control System . And then we have Ruthless. 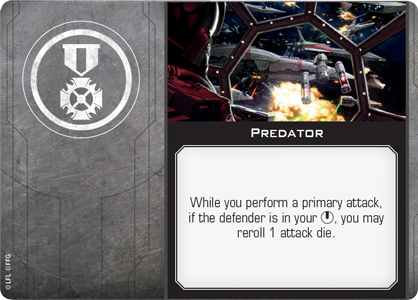 Ruthless allows Imperial players to modify their dice without taking actions, without locking onto their foes, and without catching an opponent in their bullseye firing arcs. Similarly, the limits it places on your maneuvers are relatively light; you only need to keep your Ruthless pilot's wingmates at Range 0-1 of them. But the talent comes with its own cost—you'll be damaging your own ships to improve your accuracy. As a result, Imperial players will be looking for ships they can add to their squadrons to absorb the damage their aces will be handing out. We'll almost certainly see a number of swarms built around a Ruthless "Howlrunner," and these may include a Scimitar Squadron Pilot or two to take advantage of the TIE/sa bomber's six hull points. 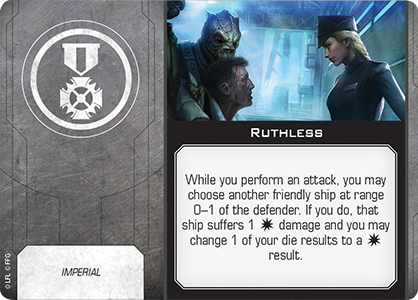 In any case, Ruthless plays clearly toward the Galactic Empire's superior numbers. So long as Imperial players start their games with more shields and hull, they'll be able to leverage the damage from Ruthless toward an ongoing barrage of punishing hits. 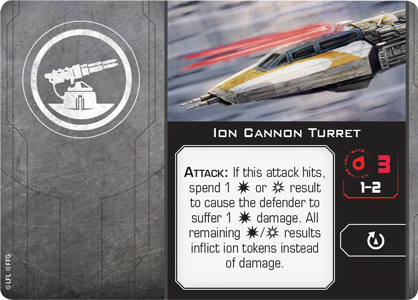 Finally, we might see Ruthless used to improve the accuracy of Ion Cannons, Ion Cannon Turrets , and other weapons that assign ion tokens when they hit. 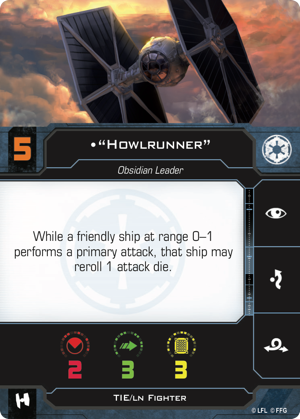 In such squadrons, the single point of damage these Imperial players assign to their own ships could easily be mitigated by the damage they avoid when their opponents can't shoot back. One of the great things about X-Wing Second Edition is the way it reinforces each faction's unique identity. And there's likely no better example of this fact than the selection of Boba Fett as the essential Scum and Villainy upgrade. Boba Fett claimed 41% of the community vote—a jetpack-powered leap ahead of Fearless , which claimed second place at 28% of the vote. This is likely a testament both to the bounty hunter's enduring popularity and to the way his crew upgrade will impact Scum setup during the 2018 Coruscant Invitational. 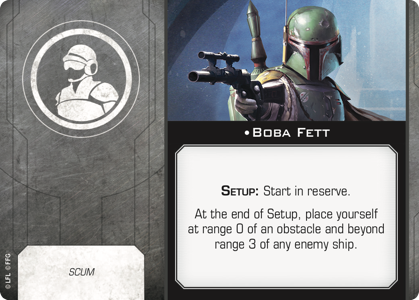 Boba Fett's first line of text demands that Scum players look for ways to take advantage of the new rules for ships in reserve: "Setup: Start in reserve." "At the end of Setup, place yourself at range 0 of an obstacle and beyond range 3 of any enemy ship." This means that Boba Fett's ship will only be in reserve for a short period of time, but it's still a significant impact! Whether he crews a Firespray-class Patrol Craft, a Lancer-class Pursuit Craft, a YV-666 Light Freighter, or some other ship, Boba Fett gives it the element of surprise, allowing it to deploy with perfect knowledge of the opponent's side of the board and in position to cause problems immediately from the first round—whether by dropping bombs, forcing enemy ships off the table with a Tractor Beam, or performing attacks that land ion or stress tokens and prevent the enemy from turning to face Fett on the next round! As a loose collection of opportunistic individualists, the Scum and Villainy faction is often difficult to predict, and Boba Fett's versatility certainly doesn't make it any easier to predict the Scum squadrons we'll see at the 2018 Coruscant Invitational. All the same, we might expect to see Fett placed aboard a variety of aggressive, high-impact ships, and we can expect to see Scum players approaching their games with strategies that are wildly different than those employed by Rebels or Imperials. 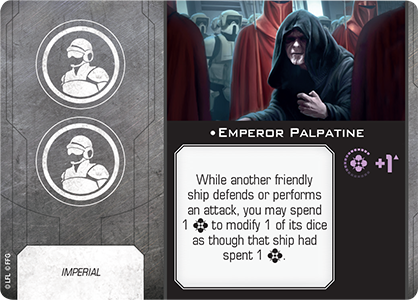 These three "essential" upgrades will soon play major roles in the battles of the 2018 Coruscant Invitational, and the ways that players decide to incorporate them may play a critical factor in determining their success at the event. 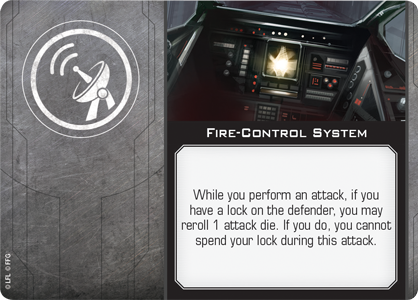 However, the selection of these upgrades needn't affect only the Coruscant Invitational attendees—you, too, can dream of the best ways to incorporate them into your second edition squadrons! You can head to our forums and share your thoughts and theoretical builds. You can reference the printable lists of all second edition cards and their points costs available on the game's support section. Then, when the game is released on September 13, you can put your theories to the test, racing your squadrons into battle and seeing how well your upgrades serve your larger strategy! How will your choices compare to those made by the attendees of the 2018 Coruscant Invitational? You can judge for yourself as you follow the action live on Twitch.tv. The streaming coverage begins Saturday, October 6 at 10:00 AM Central Time! In the meantime, keep your eyes open for more news about X-Wing Second Edition and its Organized Play!